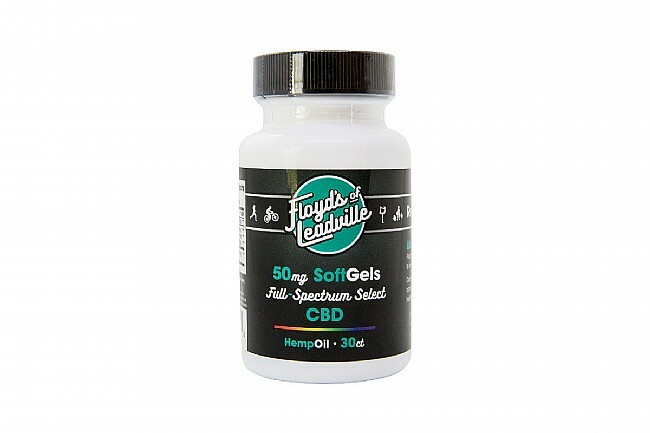 The CBD Hemp Oil Softgels 50mg (Bottle of 30) from Floyds of Leadville feature organic, non-GMO ingredients including 383mg of hemp seed oil, Omega-3, -6, and -9 essential fatty acids, and 50mg of pure, CO2 extracted cannabidiol. Use these softgels to reduce inflammation, pain, and recover faster after training and competition. I took the 50mg capsules-a relatively high dose for someone like me on the smallish side-almost every day for over a month and got no relief from chronic knee and back pain. Hard workouts and races still hurt the day after, so it's hard to tell if the CBD was ineffective or just took some edge off soreness that would have been more intense without CBD. I wanna believe in CBD, and am aware that some people get relief from it. Unfortunately, it does nothing for me at the 50mgday dosage level.